Montserrat, where Ignatius dedicated his life to God. SEEL Tri-Cities provides the 19th Annotation of the Spiritual Exercises of St. Ignatius in the Columbia Valley of Washington State. Sessions start each September and go until May. For more about SEEL and the Spiritual Exercises, or to register click here. 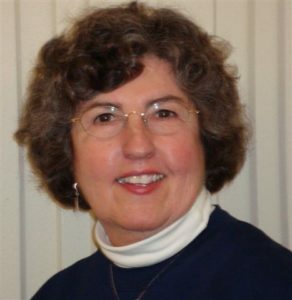 March 2019 Training with Sister Janice Bachman O.P. We invite anyone who has made the Spiritual Exercises, or who has been involved in Ignatian Spirituality in some way, to join us for our spring workshop, March 22-24, 2019. Click here for the schedule. Click here to register. We have also produced several books and manuals for the 19th Annotation of the Spiritual Exercises. All are available through Amazon.com. Or you can contact us directly. Just send an email to info at spiritual-exercises dot com. To read what Fr. Larry Gooley, JS has to say about these materials, click here. To read what Fr.Joseph Conwell, SJ has to say about these materials, click here. Or read some of our customer comments below. "We have been using Taking the Exercises to the World and find it a good resource. Therefore, we'd like to order more. Please send us another one." Holy Spirit Center, AK. "I am president of Bridges (19th Annotation of the Spiritual Exercises) in St. Louis, MO. I am in the process of starting a program in St. Louis' black community in September. I am in dire need of your Taking the Exercises to the World CD with templates and forms. I have meeting with the committee that is handling the gathering of people to make the Annotation soon. Please ship as soon as possible." "Your book has been really helpful for our yearly planning of retreats and we are using some of your format for our first meeting. Thanks a log!" Ann M, MT. In my conversation with Robin this afternoon at Holy Spirit, he encouraged me to register today, Sept 1st, if possible. I understood him to say that I could register online. I don’t see a way to do that on this website, so I am sending this comment. My wife and I would very much like to register and attend the group meetings. Please contact me so I can complete the registration process.